Our CSR initiatives extend beyond mere philanthropy.  All our projects remain close to our heart, uniting the entire organisation with a single minded passion. We believe that fostering team spirit within the organisation is the first step to engendering broader social development in the country that would eventually lead to a sustainable future. 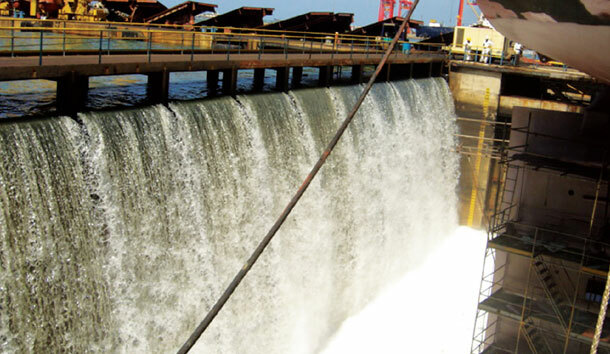 Hence all CSR projects that we undertake are personally overseen by our employees. 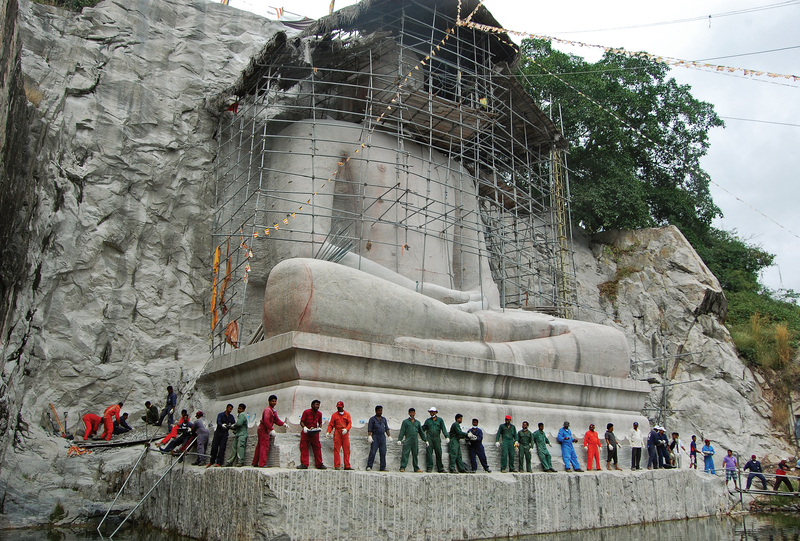 The Abhayagiriya restoration project and the renovation of the Monaragala Buddha Statue at Rambadagalla, Kurunegala (the largest sitting Buddha Statue out of Granite rock stone) depicts the collective effort of our employees and the engineering contribution to our national heritage. The 2004 Boxing Day Tsunami was undoubtedly one of the most harrowing experiences the country has witnessed in recent times. The inescapable damage devastated the nation. 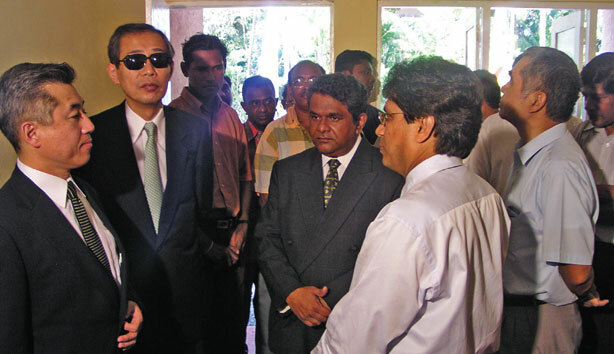 Everyone was affected in some way or the other and Colombo Dockyard was no exception. 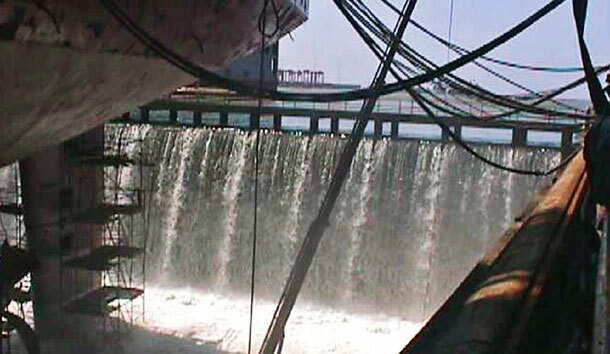 The rising water levels caused by the Tsunami resulted in a massive overflow of sea water that continued to spill over the dock gate. 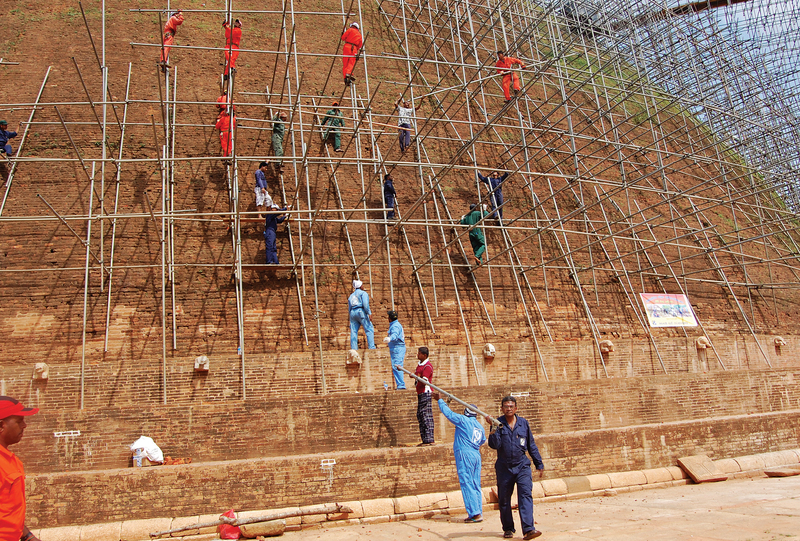 Colombo Dockyard staff spurred into action. 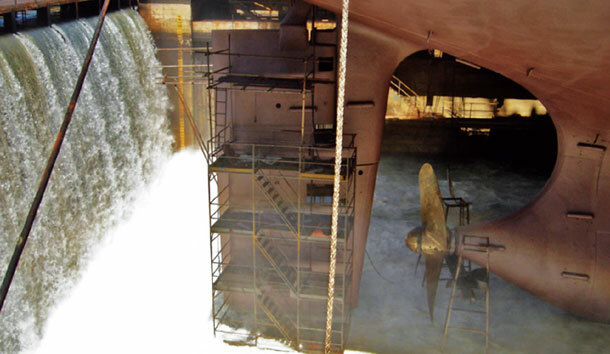 Undeterred by the unfolding disaster, they reacted swiftly to stem the flow of water, thereby mitigating the material damage to the vessels that were docked for repair, at the time. 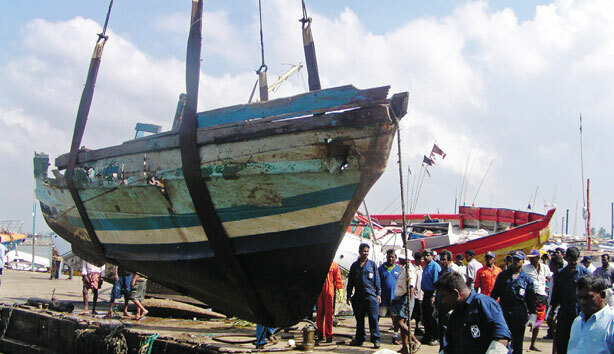 Following the disaster, Colombo Dockyard was mandated with the task of resurrecting the Beruwela harbour. 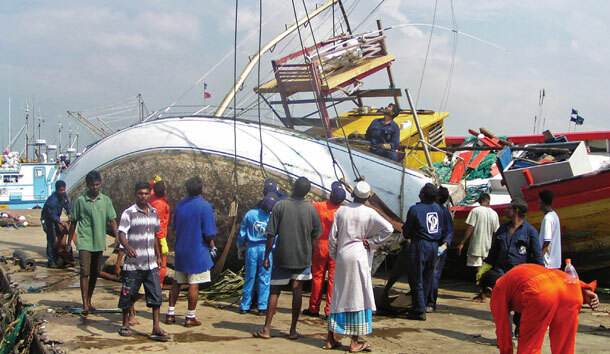 The harbour and the surrounding area had suffered countless damage, leaving communities distraught and destitute. 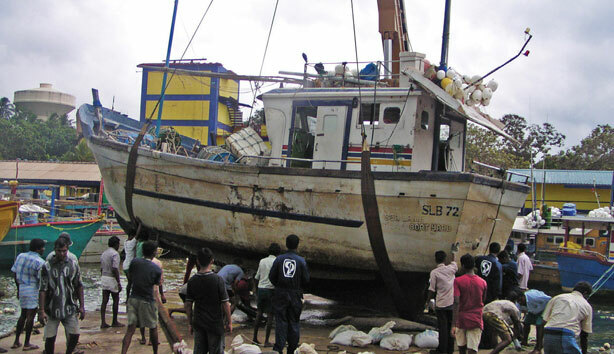 We hit the ground running, deploying multiple search and rescue teams that salvaged countless fishing vessels. Within 48 hours, Colombo Dockyard was successful in returning the Beruwela Habour to some semblance of normalcy. Appreciating the urgency of the situation, every single staff member threw themselves into the rescue effort with a passionate fervor. 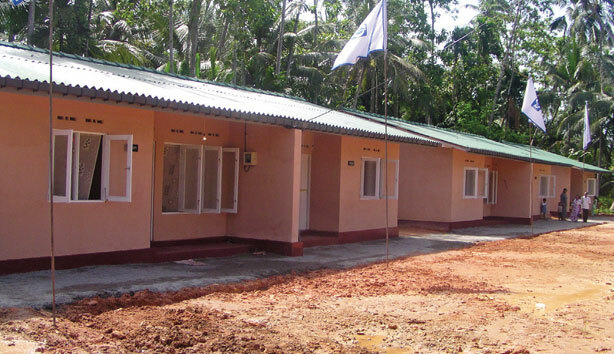 To support the affected communities, we also contributed in managing the Ethanamadala Tsunami Camp in the Kalutara District and built permanent homes for the displaced. Colombo Dockyard understands the importance of sustaining community based development activity and makes every effort to contribute all possible resources to attain these objectives. Our sustainable development platforms revolve around better health and education, knowledge development and primary shelter. We renovated and maintained Ward No. 2 of the Kalubowila Teaching Hospital, a planned project that will continue for a period of four years. Our subcontractors have also been involved in this project by lending their expertise in painting, steel and civil work. 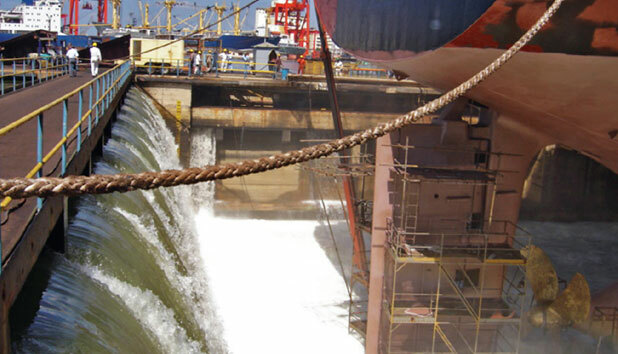 The idea in getting the subcontractors involved and partnering up with us was to strengthen our relationships with them as well as an overall nurturing of a close bond between the subcontractor, the community and Colombo Dockyard. The renovated ward was handed over to the hospital authorities, complete with ten beds with mattresses and a whole host of other items urgently needed at the hospital. In addition, the team also undertook to paint the entire ward. Colombo Dockyard donated to the ‘Sadasarana Mathru Daraka Madyasthanaya’ childcare centre, a fun day of activity, which included everything from meals for the day, gifts of school bags, stationery, miscellaneous toys and many other items needed by this childcare centre. In addition, equipment and stationery valued at over Rs. 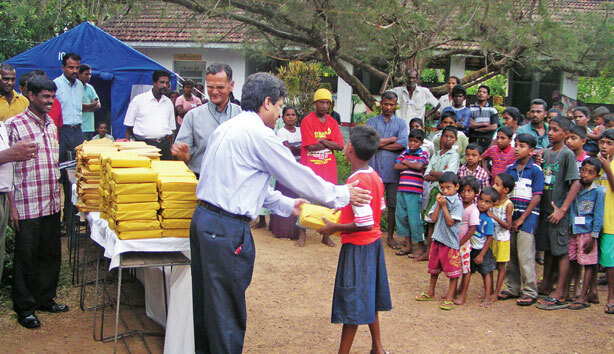 250,000.00 was donated to the students of ‘Parana Govipala Viduhala’in Lahugala, Ampara, in Eastern Sri Lanka. The students who were helped face very difficult and trying times when attending their school. 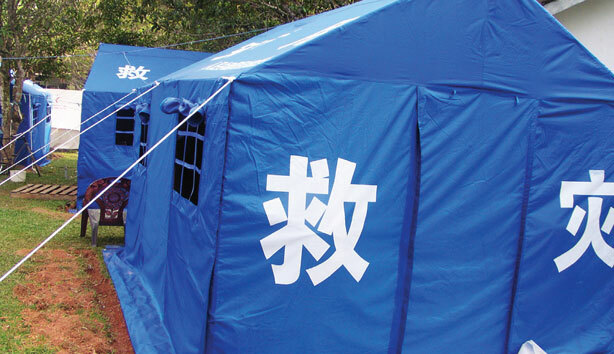 As an exports oriented Company, our products are not usually promoted or focused upon in the local market. 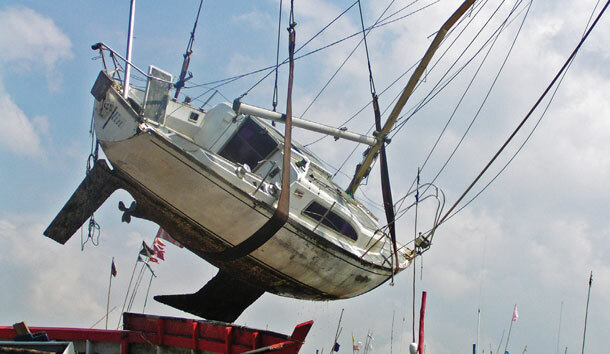 Taking this factor into consideration, and with a wider requirement to disseminate knowledge to the community, Colombo Dockyard has participated in numerous national exhibitions, including the ‘Boat Show 2010’ and the Maritime Exhibition held by the Sri Lanka Navy. Colombo Dockyard continues with practical and on the job training at our yard for the Marine Engineering Corps of the Sri Lankan forces. Allowing employee families to visit the workplace of their loved ones creates a deep bonding and appreciation factor for the work performed by employees. On the open day, all facilities are made available to ensure that family members leave at the end of the day with pleasant memories and a good idea of just how Colombo Dockyard operates. Retired employees were hosted on the same day to make them feel appreciated for the yeoman services rendered. In addition to being an in house training centre, the Knowledge centre also serves as a learning centre for university students, and trainees alike. Most programs are conducted free of charge or only a nominal fee is applicable to cover the costs of personal protective equipment and meals. In addition, Colombo Dockyard continues an active educational partnership role with many universities and professional institutions for the development of entrepreneurial skills. Colombo Dockyard has initiated a personality development and professional guidance program for children of employees within the ages of 18-25. Experts in career counseling, guidance and personality development take part in the training and at the last program, ninety-six participants were involved. The Colombo Dockyard team has been involved in several different house constructions for employees and their families. Financial contributions and time for these activities have come from the Company and its employees.